This newer construction contemporary two bedroom / two and a half bath condo is located near West Hollywood and Melrose Place and the best cafes, dining, shopping and entertainment in Los Angeles. This south facing and private condo features 1,340 Sq Ft of living space with upgraded finishes and includes a chef’s kitchen with stainless steel appliances, a spacious master bedroom with en-suite master bathroom with a large party shower plus a spacious walk-in closet. A second bedroom with en-suite bathroom and sunny balcony. 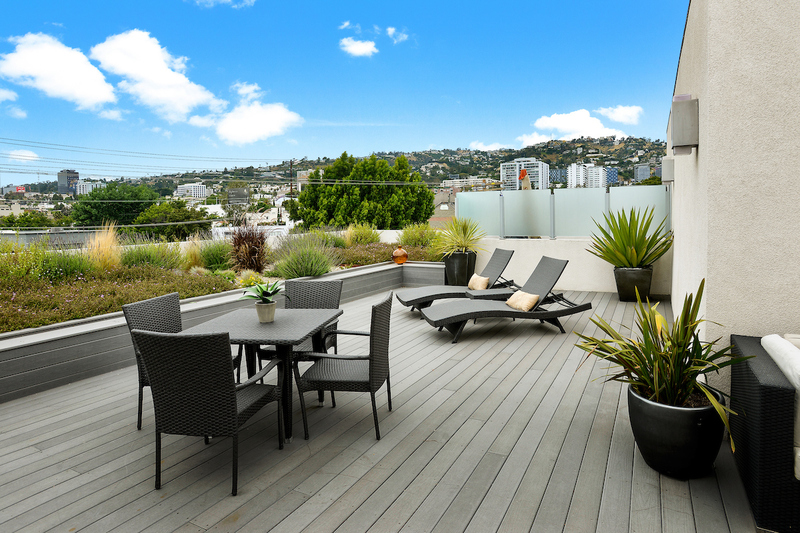 A rooftop terrace and community rec. room affords breathtaking views of the Hollywood Hills. Two parking spaces and low HOA dues!